a.. We pride ourselves in offering the highest quality and fastest installation available. At 911 Outfitters, LLC. our top priority is your satisfaction, and we continually strive to exceed your expectations. 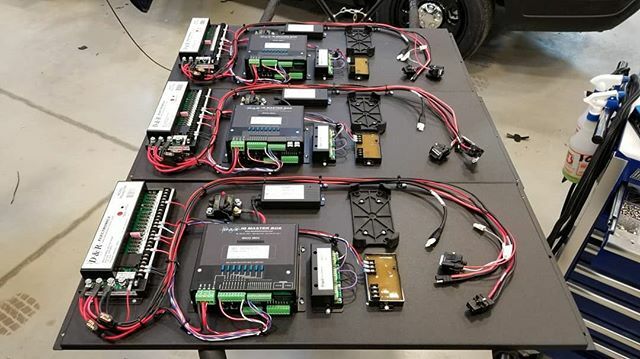 No matter where you are located in the United States, our experts can complete emergency and specialty vehicle equipment installations in nearly any location. With installation facilities currently in Muskogee, OK; Tulsa, OK; Oklahoma City, OK; Vinita, OK; and Houston, TX, chances are, one of our locations is close to you. With installation center expansion planned SOON, we are committed to making the vehicle installation process as convenient as possible. If one of our installation facilities is not close enough to you, or you prefer that your installation be completed on site, we’ll gladly come to you. By being prepared ahead of time, we don’t miss a beat. We’re fast, thorough, and we don’t interrupt your day-to-day operations. If you prefer to have your vehicle installation completed off-site, but one of our locations is not convenient, you can take advantage of our partnerships with quality emergency vehicle equipment installers throughout the United States. Regardless of where you are located or whether you prefer on- or off-site vehicle installation, we can meet most of your needs. At 911 Outfitters, LLC. we offer the most competitive pricing around. In fact, our police vehicle equipment and installation prices are often on par with competitors' estimates for equipment alone! Not only do we convey savings to you through our advantageous bulk contracts with vendors,, but we offer special fleet, agency and volume pricing. You can't beat a lifetime warranty. We are so confident in our services that if anything ever goes wrong with your setup due to an installation error made by one of our technicians then we will fix the problem for free! This warranty is voided however if the installation is tampered with or modified in any way. We know how our installs look and document every order.